The Manor of Sutton Coldfield was a royal manor belonging to King Henry I from 1100 until 1126. King Henry loved to hunt, and made a large park specially for conserving and hunting his favourite fallow deer at another of his manors, Woodstock in Oxfordshire, in about 1100 (now Blenheim Park). Pleased with this, it seems likely that he repeated his creation soon afterwards at his Sutton Coldfield Manor, where there was already a hunting lodge which had been used by the Saxon Earls of Mercia before the Norman Conquest, and Sutton Park came into being. The Earl of Warwick became Lord of the Manor of Sutton Coldfield in 1126, taking over the park as well as the forest rights in a much larger area known as Sutton Chase. The salaried officials appointed to administer the park and chase were the Earls’ retainers, the plum job being Forest Rider of the Chase of Sutton and Colvyle and Sutton Park, carrying an annual salary of five pounds, while the Park Keeper, though still a man of some standing, was a wage-earner. Adam the Parker witnessed a deed of 1252, and William le Parker paid tax in 1329. The Park Keeper in 1480 was Humphrey Gelson, who received twopence a day in wages, six shillings and eightpence for shoe money, and five shillings for hay for his horse, total £3. 12s. 4d. In 1528 Sutton was made a self-governing town by royal charter, and all these posts connected with the park and chase were abolished. The Park was now in the custody of the Warden and Society. In the 1530s Bishop Vesey transformed the Park from a hunting reserve to a place where cattle and horses could graze, with properly managed woodlands, for the benefit of the townsmen. The Park-Keeper’s duties changed, and could better be performed if his lodge was sited next to one of the main gates of the park, the one at Four Oaks. The keeper was supposed to ensure that no sheep were permitted to graze in the Park; at the Court Leet of April 15th 1577, Robert Underwood the Parker and Palesman reported that John Sharpe had put sheep into the park (in 1569, before he was the keeper, Underwood had been guilty of the same offence). His successor, Robert Smythe, was in trouble in 1601 for letting his own sheep in. 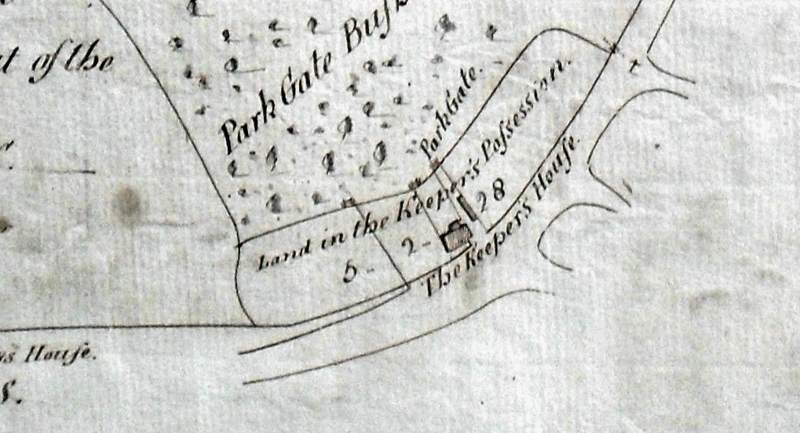 The Keeper’s Lodge at Four Oaks is clearly marked on a map of 1779, when John Scott lived there, and on later maps when the keeper was John Swift and then Charles Beech. Originally there were two small fields attached. It may have been built soon after the 1528 Charter, or if the belief that first lodge was near Keepers Pool is incorrect, perhaps the site goes back to 1110. 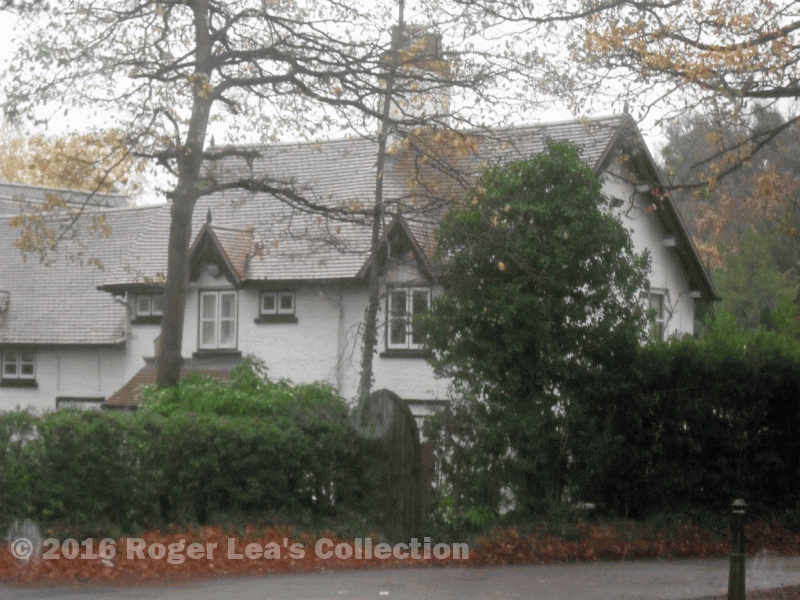 The Four Oaks lodge was rebuilt in the nineteenth century, and is now a private house. Detail of a plan of the Park made in 1779. The park gate shown is Four Oaks Gate, and it is obvious from the plan that the five acres, two roods and twenty-eight perches “in the Keeper’s Possession” had once been part of the Park. The road pattern was different then, Four Oaks Park, part of which is shown on the left, had not long been granted out of the Park; the bottom line of the frame runs from south to north.